Maintain a proper posture appropriate to activity being indulged in. Rest, a good diet and regular exercise all contribute to a healthy musculoskeletal system. Sleeping on the stomach can strain the back, sleeping on the side with a pillow between the knees helps reduce back pain. Low Back Pain ranked as one of the most ‘distressing’ and ‘disabling’ conditions. Heavy lifting, sitting for long periods, repetitive movements all contribute to strain in the spinal segments. The spine is complex structure of bones, muscles, ligament and discs. An issue in any of these components can affect normal functioning of the spine leading to back or neck pain. Strenuous physical activity, which is improperly done. Muscle Strain/Spasm – A muscle strain/spasm may be caused due to improper posture or sudden physical activity such as heavy lifting, etc. You also have to remember not to over exercise at the gym or self-medicate for a spinal problem. 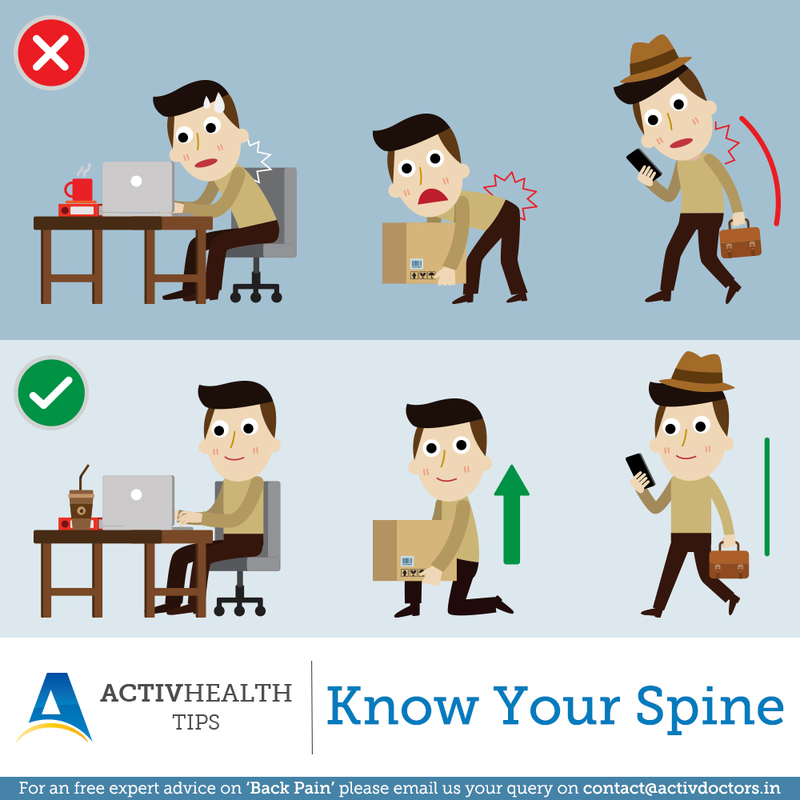 Always seek professional help to treat your back pain and to get the correct treatment.